That 10,5 100-200 time is bs. 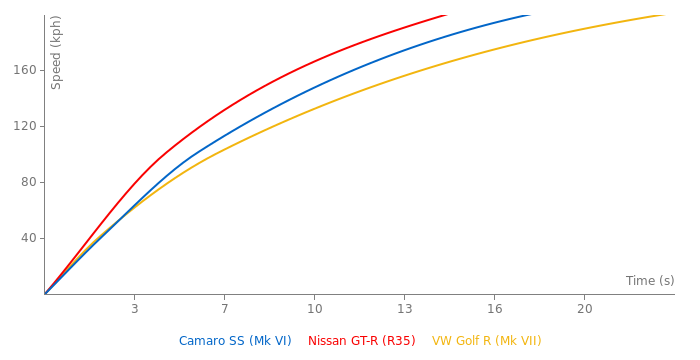 I've tested my stock camaro ss auto gearbox with racelogic on a flat surface (it was actually going 0,38% up) and I've done 9,1 on a 95 octane fuel in Europe. Changed power to 453 PS. There pretty fun from what i have herd, But i agree in order to compete with these 2, They will need to kick it up a notch, But then again Hyundai has never built a performance car of these 2 calibers, So we dont really know there potential, But given its Hyundai. I doubt they will beat Chevrolet or Bmw, But who knows. if only they made this with RHD... In terms of value, and fun factor it just wiped the floor with the M4. The 1LE handling pack is here. And it's available for both V8 and V6 models! 455 horsepower, must be a corvette engine. Hmmm, a Camaro Z/26, now that's an interesting thought. Something to compete with the likes of a 370Z, or something similar perhaps? It does look much better, And is miles better then the last in every aspect, And its only a 2k increase in price. I love the way it looks both inside and out, Cant wait to see the other variants, Although i would like to see them make a Z/28 version of the V6 called the Z/26, And a performance version of the InLine-6 version. Which other car since its introduction has changed price 4 times now?.. 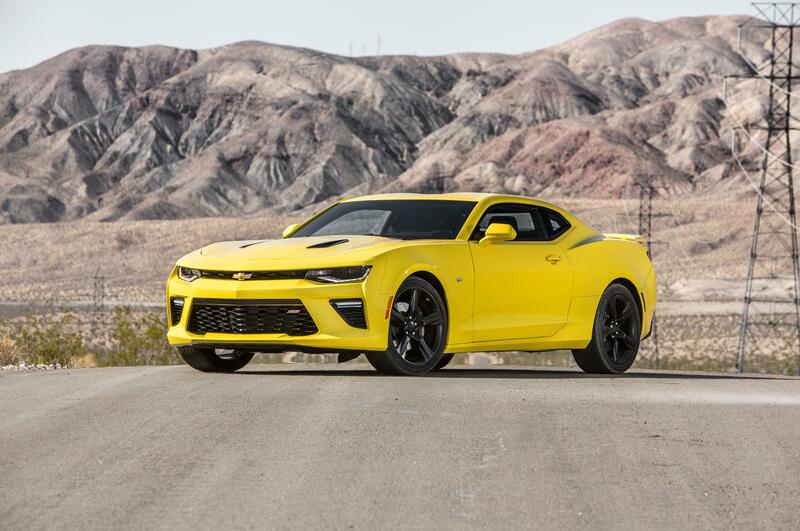 Every car is getting an increase in price, But certainly not like a Corvette. Hell the Corvette here in the UK used to be £60,120, Know its £63,000, In Germany it has had the most extreme price upgrade, it used to be €69,990, Now its €79,500! However, Corvettes in Europe are 80% fully loaded with everything, With an exception to about 6 different options, Which is somewhat understandable since there are a ton of options on a Corvette, So if we really think about it it doesnt seem that bad. Man, this car has such short Windows and windshield. I imagine short men or women simply couldn't shoulder check in this car. On another note, I checked Chevys website to see if i could build a new Camaro, Not yet ready, But i have noticed on the Corvette section, This is the FORTH time they have INCREASED the price of the Corvette. First it was $51,990, Then $52,995, Then $54,100, Then $55,000, Now its $55,400, Like really? I know its prolly good for business if you want to make money from a great selling car, But that just puts me off, And now the ZO6 is 2k more too. It looks great, Much better then the last Gen, Although i wish Chevrolet would stop giving the Camaro Corvette engines and make there own engine specifically for the Camaro. 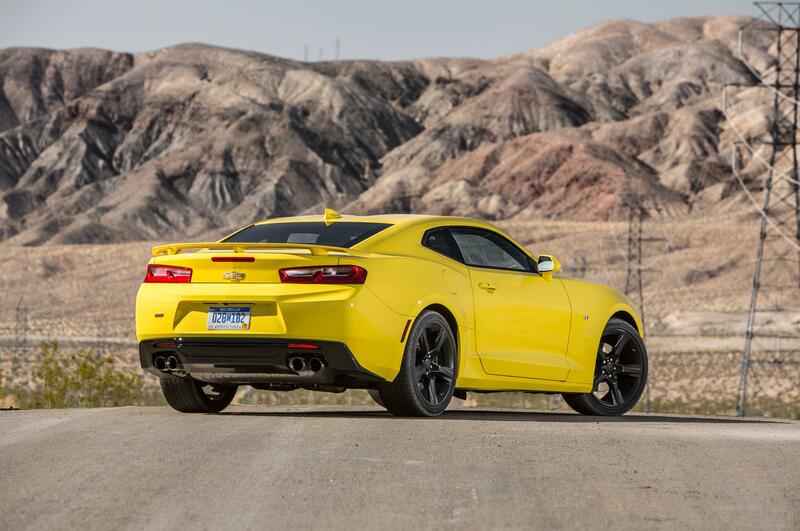 And im actually surprised they really did lose 200lbs+ in the Camaro, Alot of times companys claim of lightness its barely 100lbs. With the manual its just as fast as the M4 with a manual, And for 37k, Its getting a great review too, Good job. You should be able to edit car page you added yourself. As for pictures - if it says that it was uploaded successfully, then it was, and you just have to wait until I publish it.